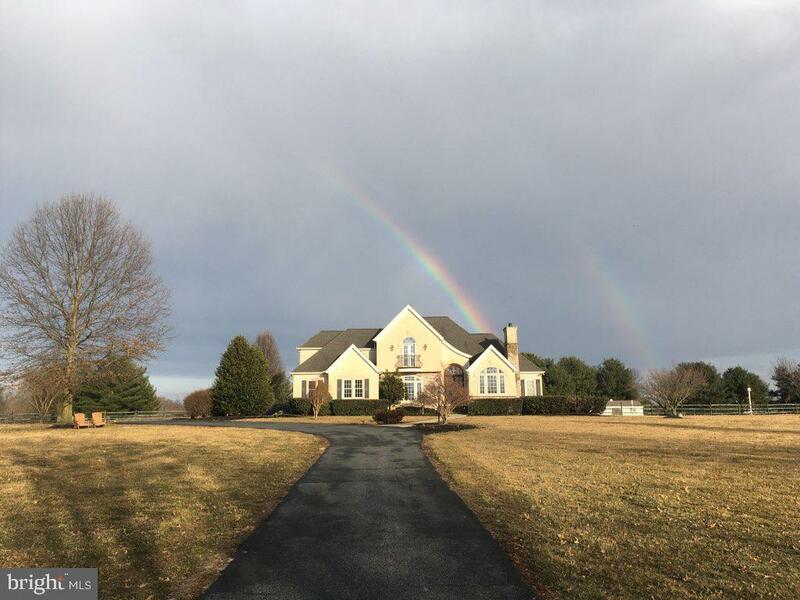 All Warwick homes currently listed for sale in Warwick as of 04/21/2019 are shown below. You can change the search criteria at any time by pressing the 'Change Search' button below. If you have any questions or you would like more information about any Warwick homes for sale or other Warwick real estate, please contact us and one of our knowledgeable Warwick REALTORS® would be pleased to assist you. "Pristine farm property offering nearly 200 acres of land. 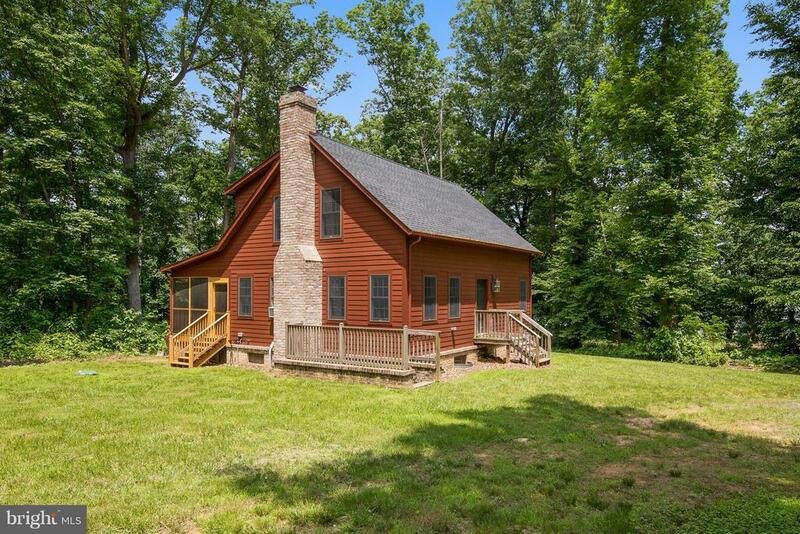 A perfect blend of open/tillable acreage (100 ac) and beautiful woodland with mature timber. And, there is over a half mile of meandering water frontage along the Bohemia! Outstanding hunting opportunities abound as well. Deer, turkey, goose & duck are prevalent. The residence is a stately Cape of stone and stucco construction offering over 5600 square feet of living. There are 2 main farm buildings on the property as well: a 60' x 100' barn with finished apartment; and a 40' x 80' equipment barn. Pier permit has been applied for. Owner has a rough estimate for timber in excess of $70k. Owner will divide." "This magnificent home could easily grace the pages of Coastal Living. The circular drive welcomes all. The open design brings it all together. A kitchen to inspire family meals and entertainment feasts. Hardwood floors, custom countertops, cabinets, tile backsplash - the perfect touch. The great room is lined with glass doors and windows for the best of light and a panoramic view of the river. From the kitchen and great room walk out onto the Brazilian IPE designer deck with screened in porch. Spacious master suite along with attached office with built in mahogany shelving, all the main level. Take the winding staircase to the upper level for the four additional bedrooms and 3 full baths. From the upper level walkway look out the oversized picture window to view the pastoral setting. The finished lower level is home to the home theatre entertainment center, exercise area, generous storage, a bedroom and a full bath. Walk out to the river side and enjoy. 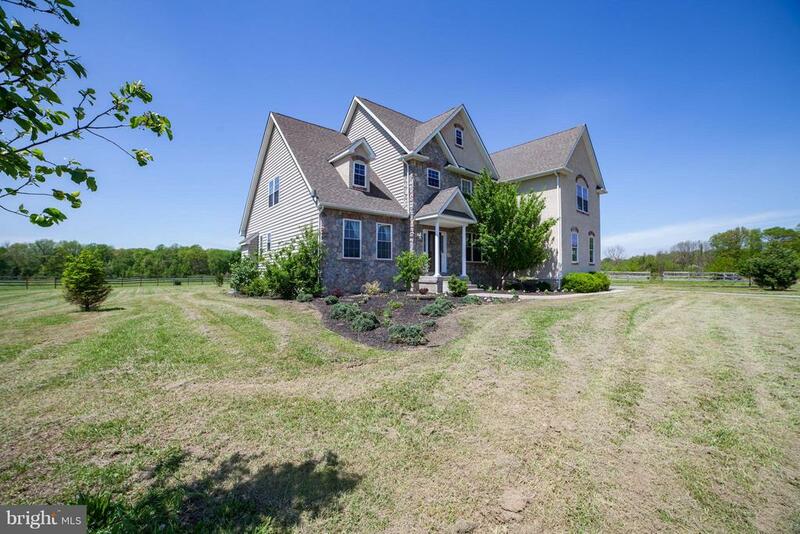 A great location just minutes from the new Middletown by-pass making points north easily commutable. Make your own memories, Love where you live." 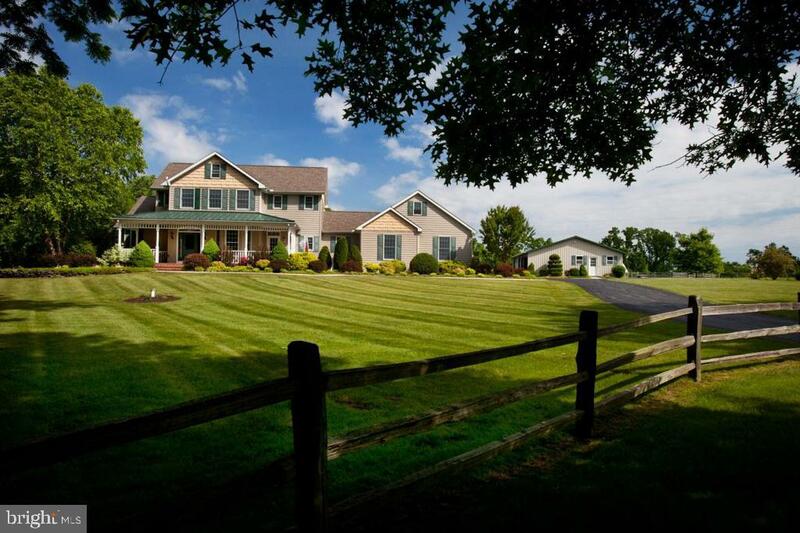 "Bring the horses and enjoy this ultimate 40 acre property. Two huge barns on site with, one even has a finished apartment for staff! Open fields contrasted by a beautiful woodland glade backing to Little Bohemia Creek. A simple lot line adjustment can create your perfect size parcel. Don't need all 40 acres? Need more space? All options are on the table. Oh, and this property features this magnificent home offering over 5600 square feet of living space. 6 bedroom, 5 of which have en-suite baths! 2 powder rooms as well. Over 4000 square feet of basement area plus an additional 1500 square feet available on the second floor that can be finished. Beautiful oak floors and tile floors throughout. Double sided fireplace serves the living room and breakfast room. Office space was originally formal dining room. Furnishing may convey as well." "Beautiful gently rolling 104+/- ac. waterfront farm w/ extensive frontage on the Bohemia River, mostly wooded, 25+/- ac tillable, 2 yr old Vermont Country style home, secluded setting. The well designed & constructed 2-story home features wood floors, high ceilings, modern kitchen & baths, lg screened porch w/ views to the water, open floorplan w/ a fireplace lends itself to entertaining." 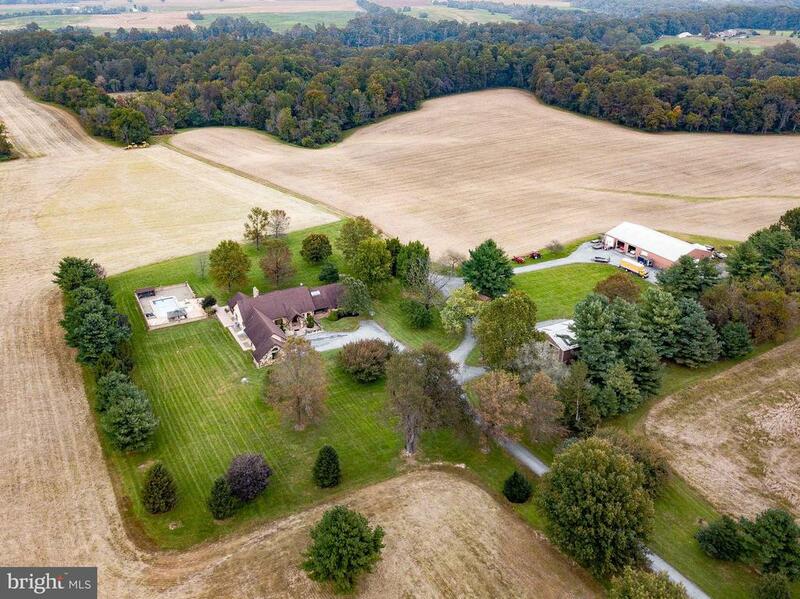 "Beautiful gently rolling 104 ~ acre waterfront farm with over 4,000 ft. frontage along the Bohemia River on the northerly side of the Middleneck peninsula. The property is mostly wooded with approx. 25 acres tillable (on a year-to-year lease). Built in 2015, this Vermont Country Style home is situated in a very secluded setting, well off the road on a point along the Bohemia River. The well designed and constructed 2-story home features wood floors, high ceilings, modern kitchen and baths, wonderful screened porch (31'x12') with views to the water. The open floorplan with a fireplace lends itself to entertaining. A wonderful opportunity for those discerning buyers seeking a waterfront country life style, approx. 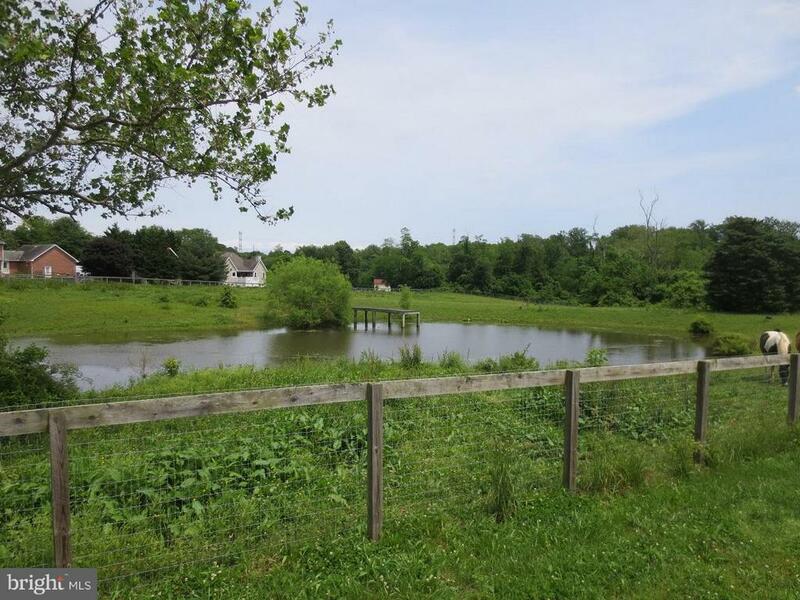 5 miles to the conveniences of Middletown, Delaware. Property is in the Chesapeake Bay Critical Area and in Ag Preservation (MALPF)." "NEW PRICE! Beauty, elegance, waterfront & privacy! 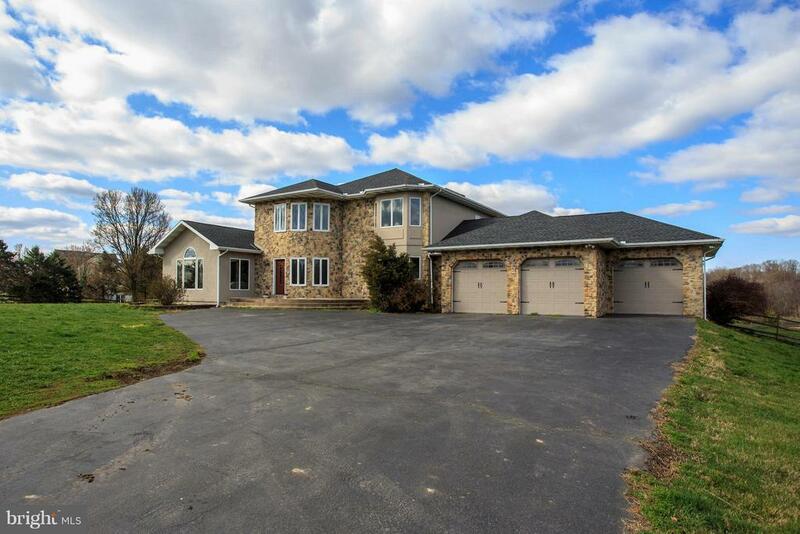 Opportunity to own a custom built home on Maryland's Eastern Shore. 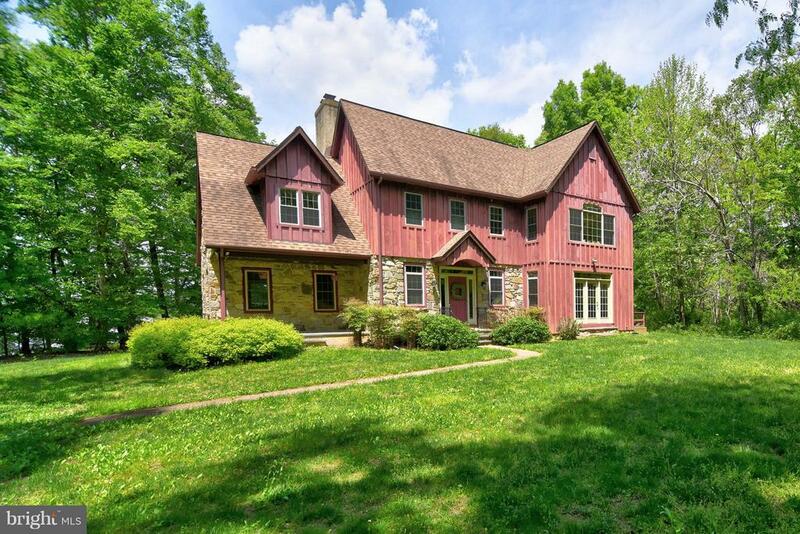 Home sits on just over 22 acres along the Little Bohemia River. Watch the eagles, ducks, geese and deer. House has 6 wood burning Fireplaces, 3 bedrooms, 3.5 baths. Large eat in Kitchen, w/Fireplace. Screened in porch w/Fireplace. This is a MUST SEE home to truly appreciate!" "A must see Water Access Home in Beautiful Budds Landing. 4 Bedrooms, 4 full baths in main house and 2 bedrooms, 1 full bath, living room with pellet stove and full kitchen in the In-Law Suite. Main house has Open Floor plan with master bedroom on main level. Fireplace in living room. 3 Zone HVAC. Kitchen, living room and dining area all overlook the expansive covered patio & outdoor dining area. Paver pool deck & a screened gazebo. Swift pool with new vinyl liner. 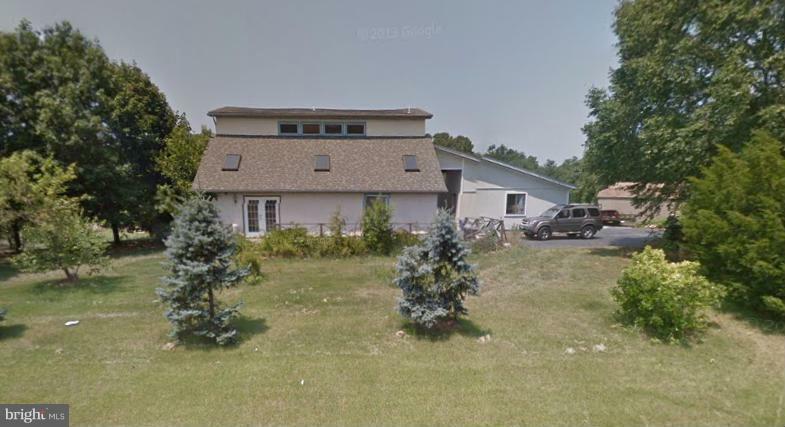 9+ acres, barn w/2 stalls and 5 car garage that has plenty of room for your water toys. Community has 60 acres of common ground with trails (horses welcome) a pond and water access with a private beach on the Sassafras River. Home has a deeded boat slip on the Sassafras River with an 8000lb lift." "GREAT Opportunity to own a stunning custom build home. 5 acres in Budds Landing an estate style water orientated community with water access to the Sassafras River ! This open concept yet traditional floor plan offers 4.5 baths, has todays style designer flare with extensive millwork and quality cabinetry. First floor owners suite with custom bath including a seperate tub and shower layout." "Gorgeous custom built 9 yr old home with 4 bdrms,3.1 baths sits on a spacious 17+acre lot with 14 stall horse barn and fenced pastures.1st floor master bdrm. 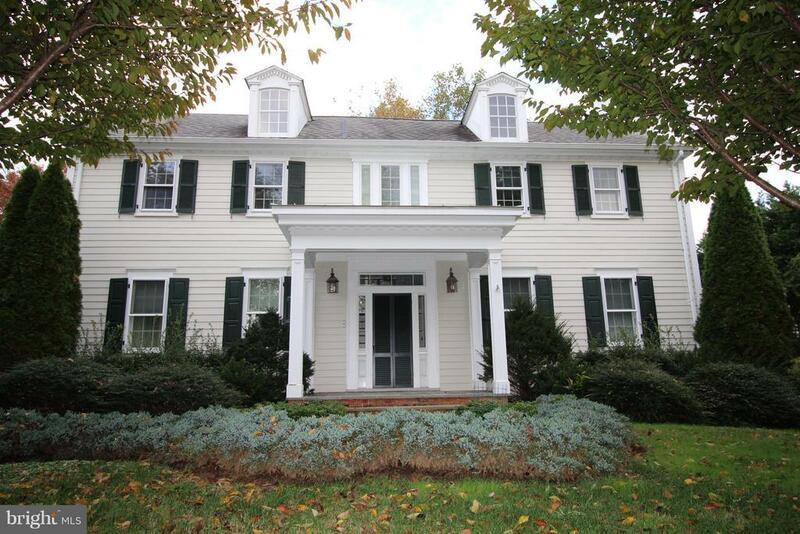 w/fireplace and deck.Hardwood floors thru most of the 1st floor.Crown mouldings,chair rail,vaulted ceilings.Gourmet kitchen.Three bedrooms and a office/loft upstairs.2 zone heat/AC,two on demand H2O heaters. See awesome video tour link in additional features." 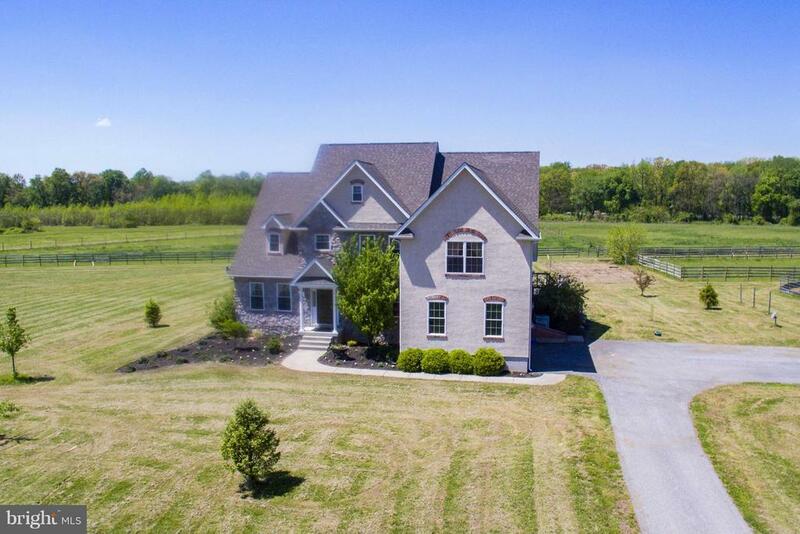 "Gorgeous custom built 9 yr old home with 4 bdrms,3.1 baths sits on a spacious 17+acre lot with 14 stall horse barn and fenced pastures.1st floor master bdrm. w/fireplace and deck.Hardwood floors thru most of the 1st floor.Crown mouldings,chair rail,vaulted ceilings.Gourmet kitchen.Three bedrooms and an office/loft upstairs.2 zone heat/AC,two on demand H2O heaters.See additional features sheet." "Master Workmanship throughout this absolutely magnificent historic home (originally built in 1875) shows pride of ownership inside and out. Several Outbuildings, Garages, Storage Barns, and Sheds located on the property. 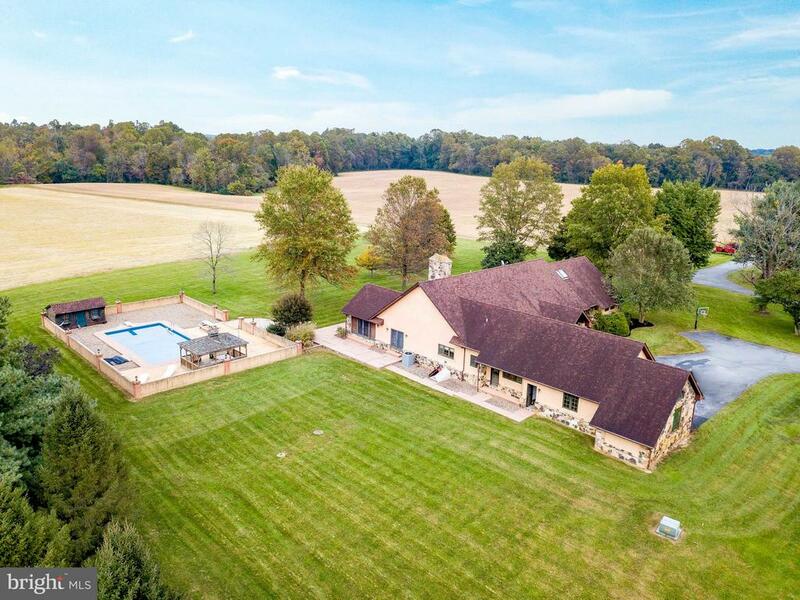 Home is situated on 3 .59+/- acres with a country feel, yet minutes away from tax-free shopping, restaurants, and medical offices in Middletown, Delaware." 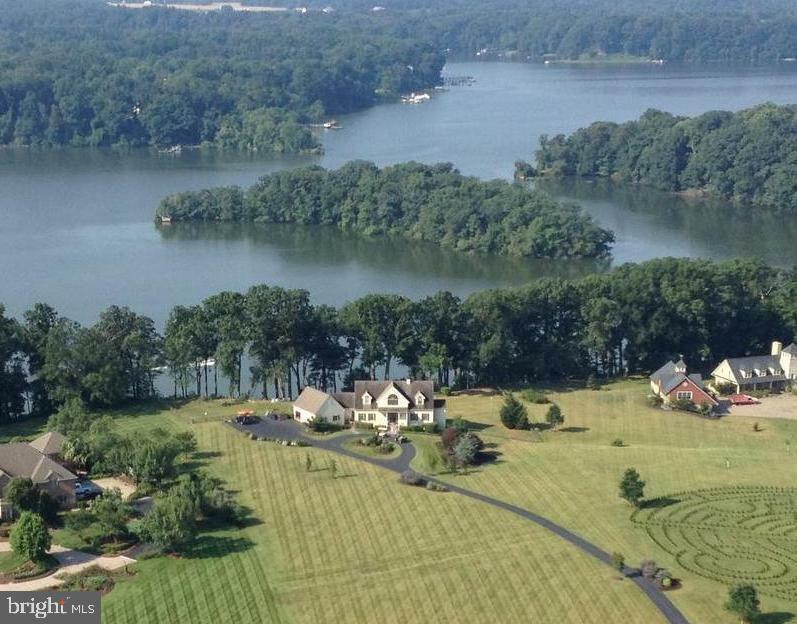 "301 Bypass enhances access to highly desirable Budds Landing community. Winding driveway, 5 tranquil acres with view of pond and Sassafras River beyond tree line. Pool adds to the outdoor lifestyle this house was made for! Renovated lower recreation level is a plus. Boat slip conveys. First floor master with nearby office." "Horses? Need Space? 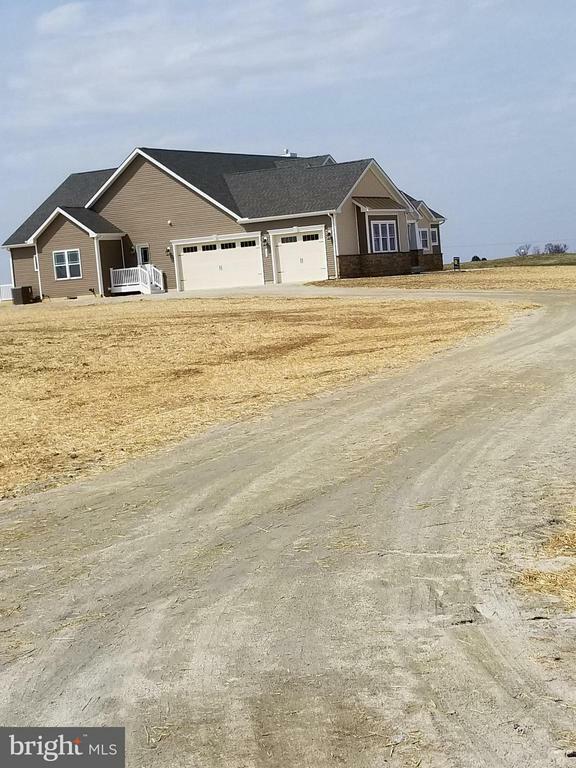 28 acres w/ 4 fenced fields, 5 stall barn w/ wash stall & tack room, 2 stall barn, storage shed, run in, large pond w/spring and manual fill also, sand arena, two driveways, 3 bed, 2.5 bath home, updated 2005 to 2300 square feet"
"This is new construction to be built by Sun Builder. There is a similar home with MLS 1002258530 with similar features as this model"
"Truly remarkable property with so much to offer. 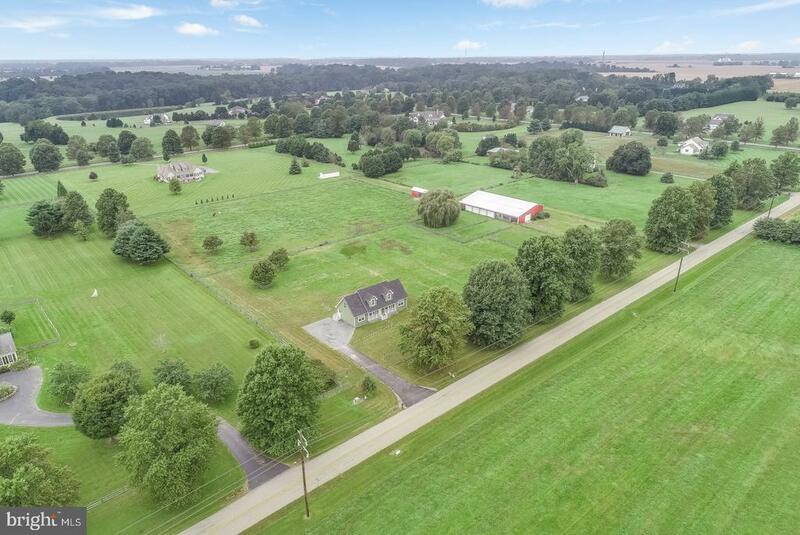 Not only does this property consist of 5 acres in a highly sought after neighborhood with a virtually brand new home, it also offers a 6000 sq ft, 5 stall horse barn and a 6 bay garage. 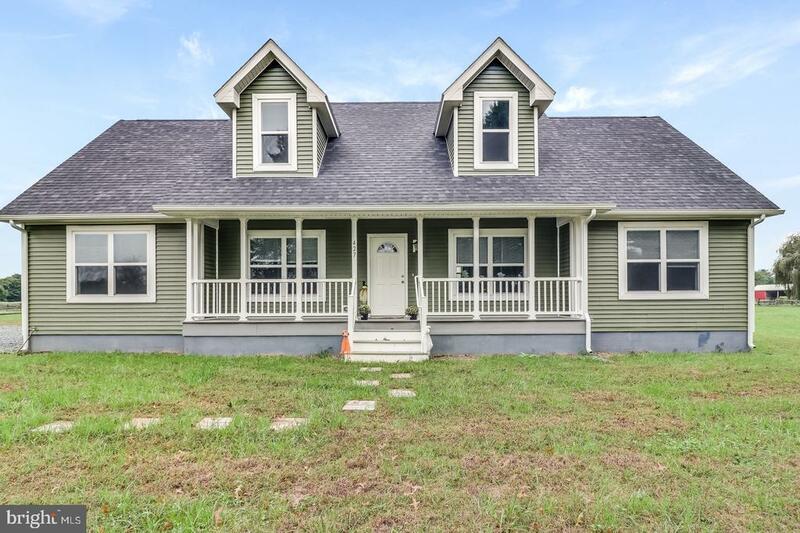 Not to mention that this home is in a water oriented neighborhood with access to the Sassafras River. The house is a 4 bedroom, 3 bath, open concept cape cod with upgraded 9 ft ceilings, modern gray pergo flooring, large kitchen island with top of line cabinetry and counter tops. First floor master bedroom with luxury en suite. A true mud room/first floor laundry with plenty of storage, front loading LG washer and dryer, utility sink and separate entrance. The barn features a larger foaling stall in addition to the other stalls, tack room, separate feed room, and hay loft upstairs. The fields have accessibility for animals to enter into the barn with the largest field having a separate run in shed with feed/hay storage attached. All of the fields have concrete posts and wood rails. The 6 bay garage is large enough for RV, boat, and/or tractor storage. Just down the street from the property is access to the Sassafras River with a boat ramp. There are very few if any properties like this on the market. You must see this one to really see for yourself what this property offers. A true farmette perfect for the horse lover." "Contemporary three bedroom home ready for new owners. Lots of mold and water damage to home, needs to be gutted. Waiver must be signed before entering. No tresspassing on property without an appointment and before showings start next week. Large, flat 4 acre lot."